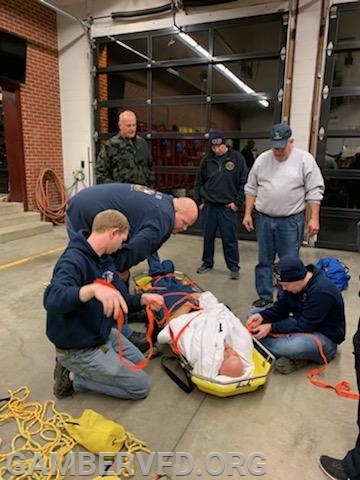 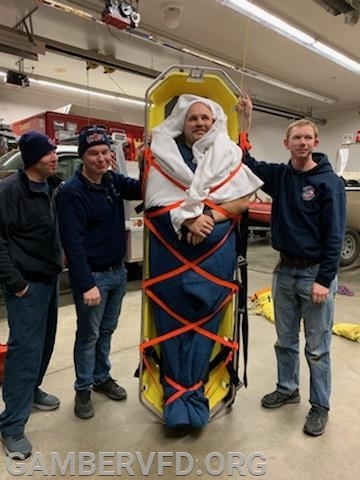 This past weekend, the Gamber and Community Fire Company hosted a duty weekend where volunteers staffed the apparatus, participated in trainings, and participated in team building activities. 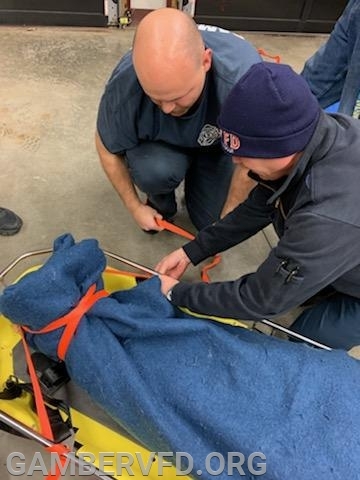 Throughout the weekend we had 18 volunteers participate in trainings such as rope rescue systems, EMS basics, brush truck operations, vehicle extrication, and forcible entry. 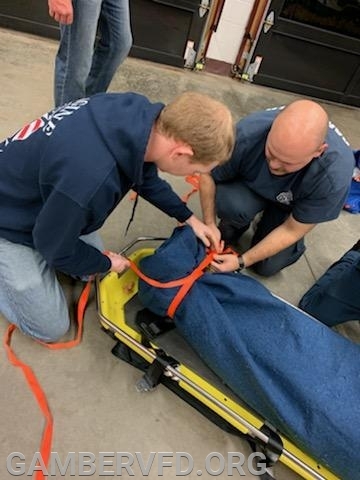 We responded to a total of 6 calls, including 3 unconscious persons, chest pains, and 2 sick people. 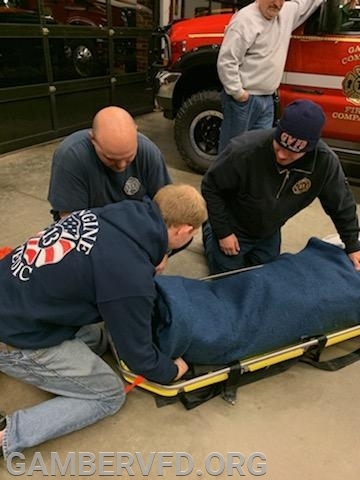 The volunteers staffed the engine and the utility to assist the medic unit on these calls. Crews practiced stabilizing a vehicle on its side. 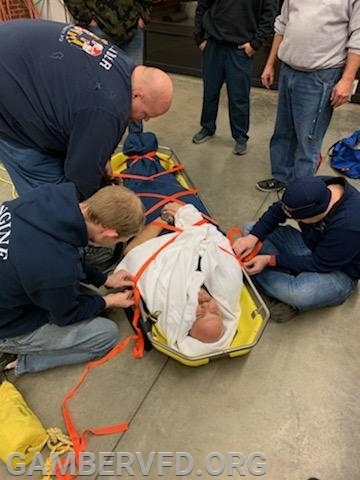 Fire Fighters assist new members in learning how to extricate a person from a vehicle on its side. 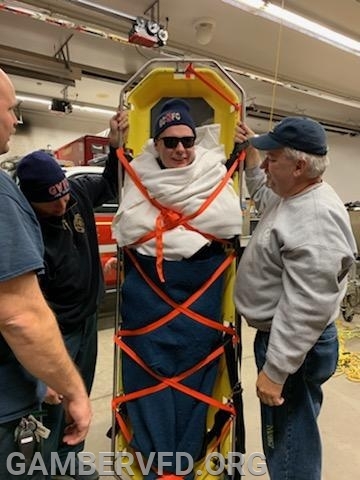 Rescue Randy filling in as the mock patient in the vehicle we practiced extrication on.